Thank you for calling Comcast, how can I help you do my job today? Happy post-Turkey Day y’all. 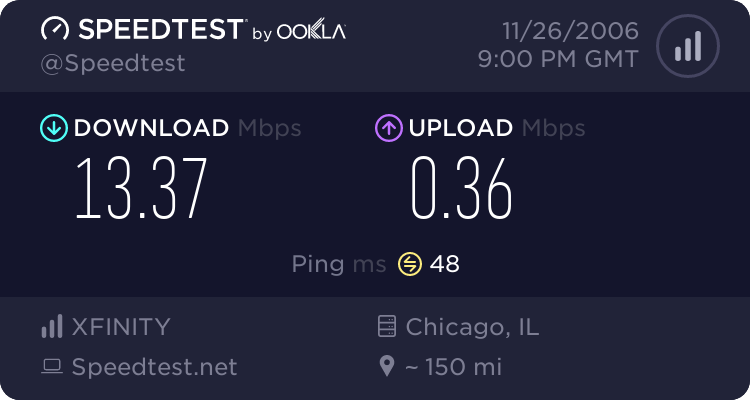 We just spent the last week moving, then went to Chicago for the holiday weekend, and a few minutes ago I put the finishing touches on our new cable modem and network/wireless. More to follow on all of this later. Not bad. Now I’m off to read up on the WRT54G and all the fun stuff you can do with it.